Happy Monday! Today we’re sharing Digital Designs Inspiration Fernweh. 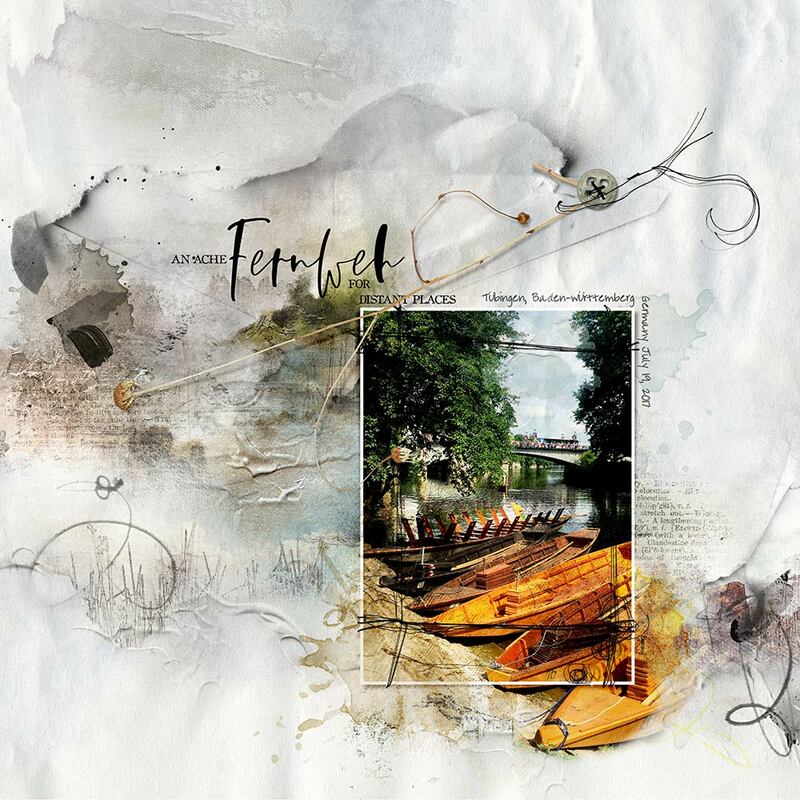 AnnaRelease Fernweh, is the latest collection of digital designs for scrapbookers, photographers, artists and crafters to be released into the Anna Aspnes Designs store prior to me departure. 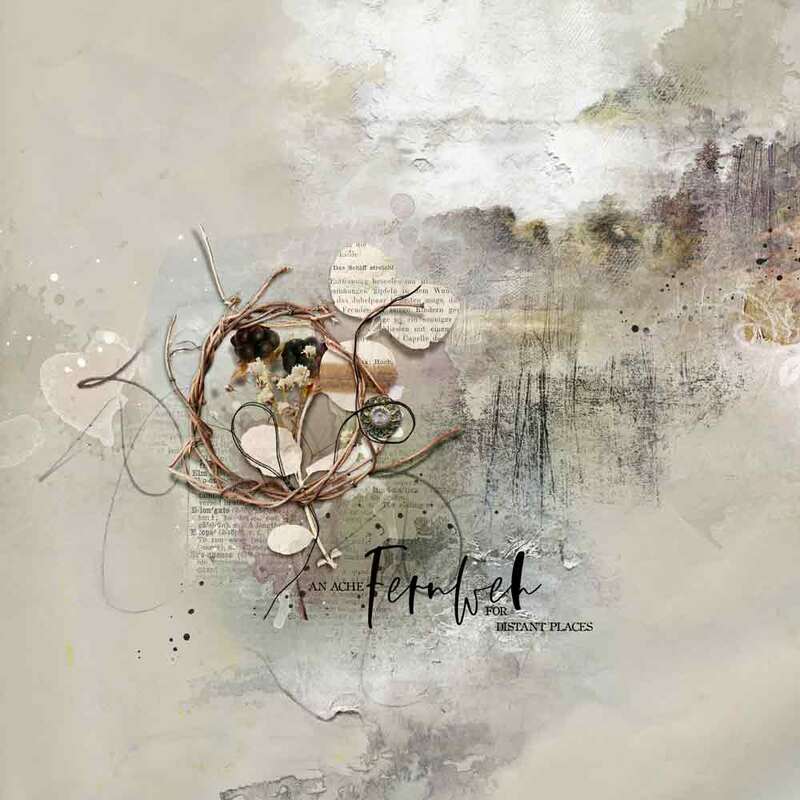 The aA Creative Team have been inspired by the ArtPlay Palette Fernweh to inject a little wanderlust into their artistry. 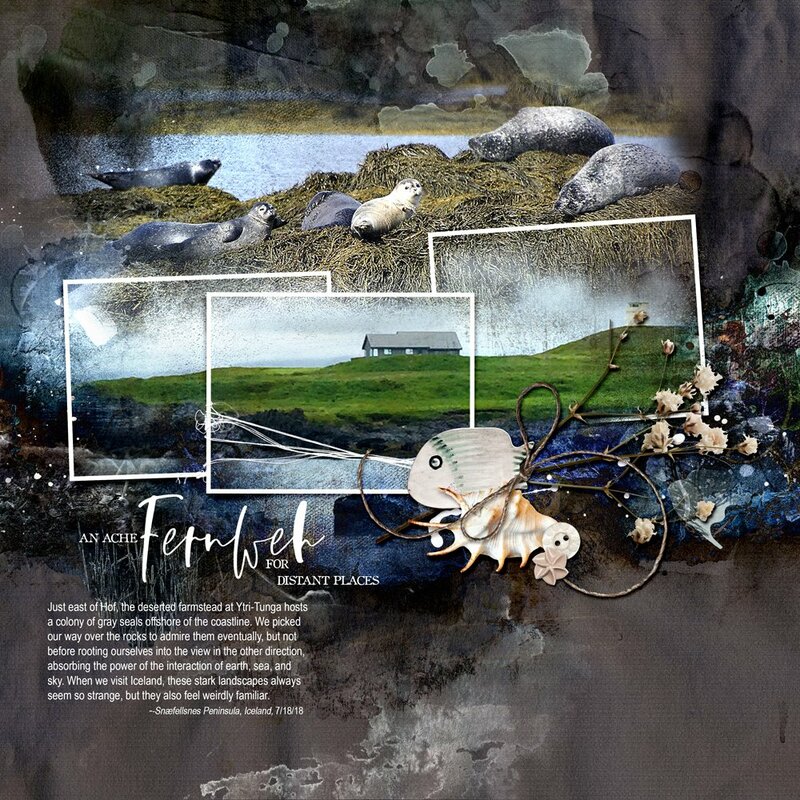 More digital designs inspiration Fernweh of course, can be located in the AnnaGallery. 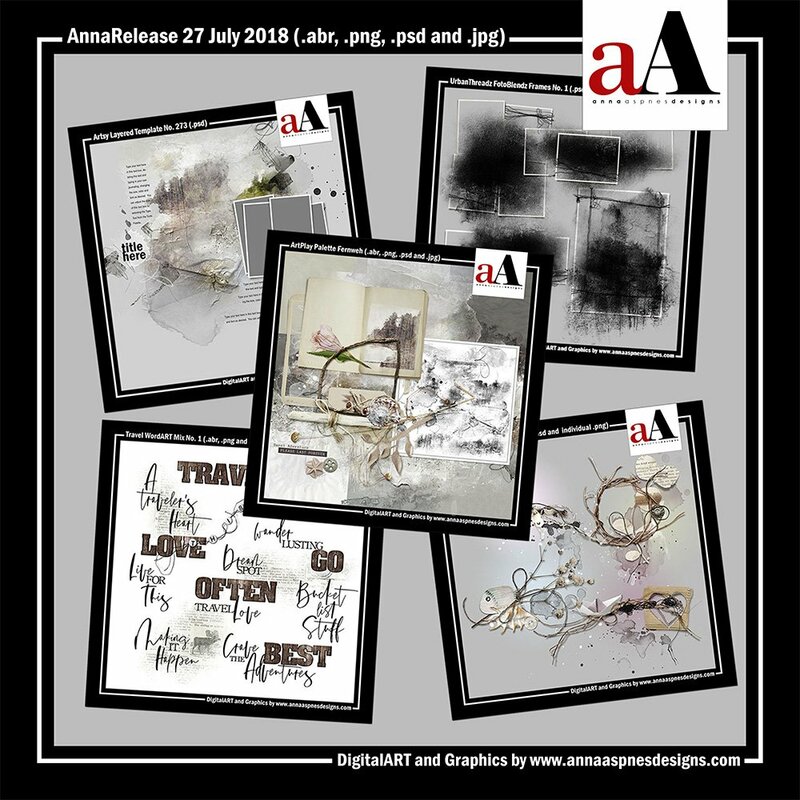 Note that the AnnaRelease bundled option is only available until August 03, 2018 at 9am EDT..
Click on the image below to view more digital designs inspiration ‘Fernweh’ or visit the AnnaTeam Layouts board on Pinterest. Push outside your comfort zone to experiment with different Blending Modes. The Difference Blending Mode will make lighter layers much darker. Laura used a variety of layers from ArtPlay Palette Fernweh with this Blending Mode to reflect her subject matter. Drag the photo on top of the FotoBlendz mask layer in the Layers Panel, and clip the photo to the mask layer. Barb also intensified the colors in her photo using Blending Modes. Use a MultMedia Element as the focal point of your layout. Simply open the .psd format file into your work space, and move all the layers onto an artsy paper. Trish is a master of ‘no photo’ pages. 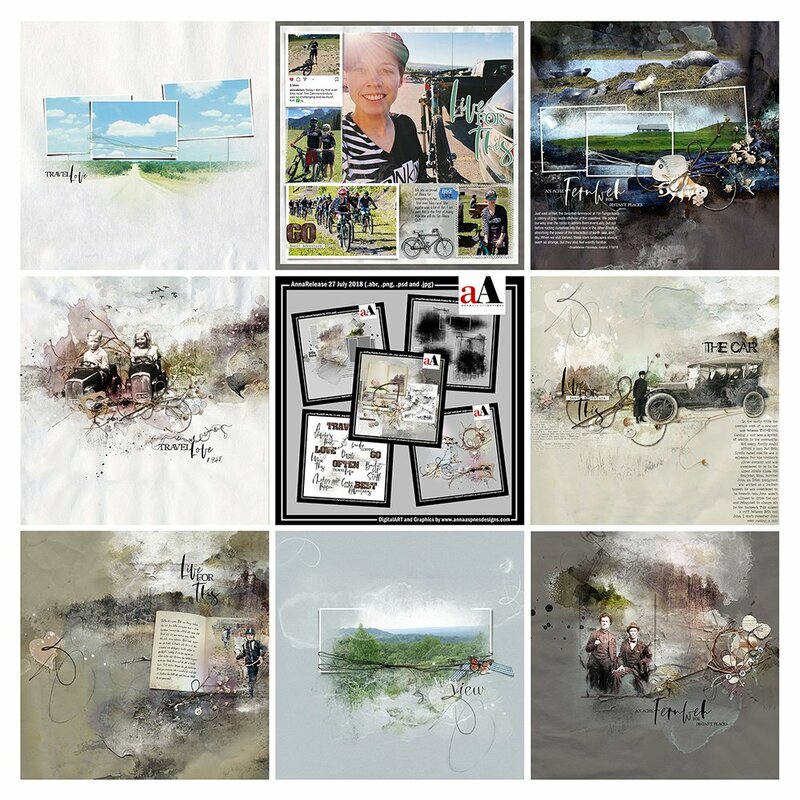 Find more Digital Designs Inspiration Fernweh in the AnnaGallery.